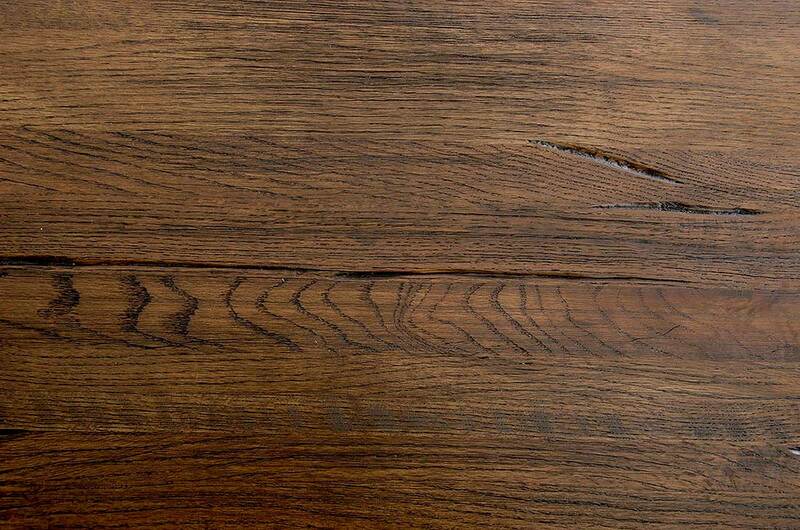 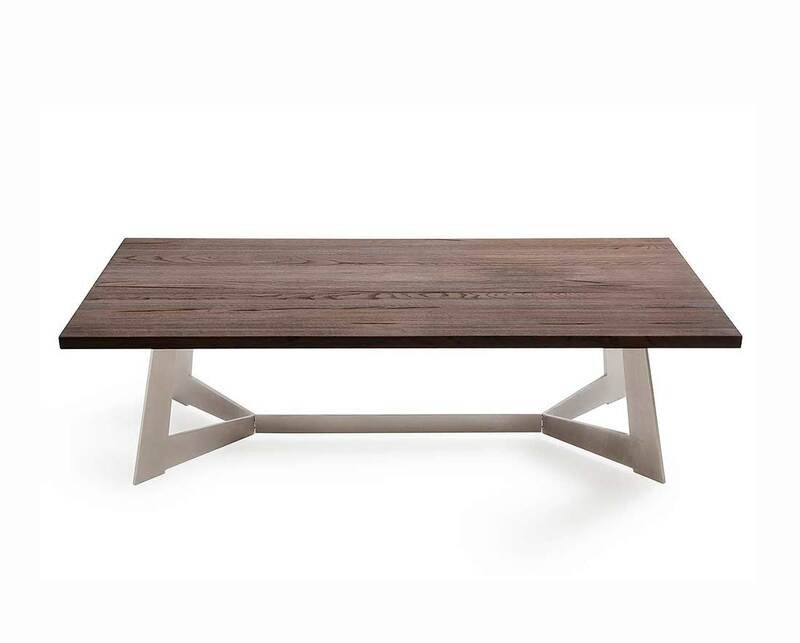 Modern Dark Aged Oak Coffee Table exhibits an up-to-date design and style featuring an eye-catching 1-inch dark oil stained solid aged Oak top. 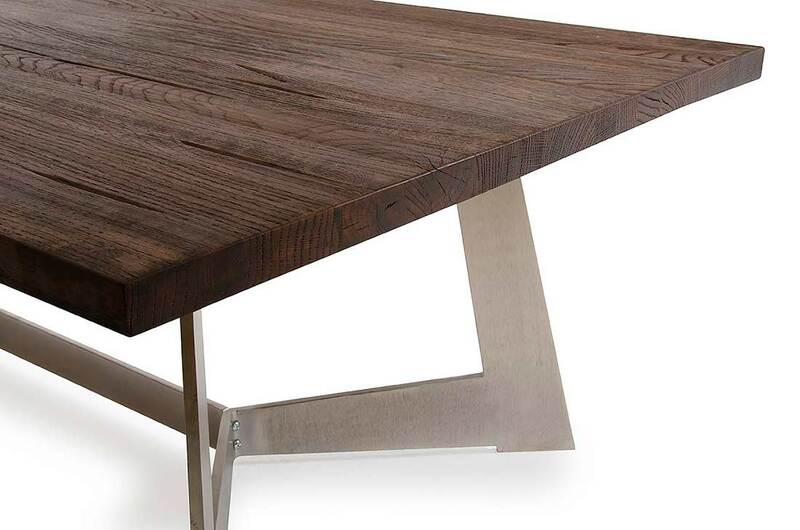 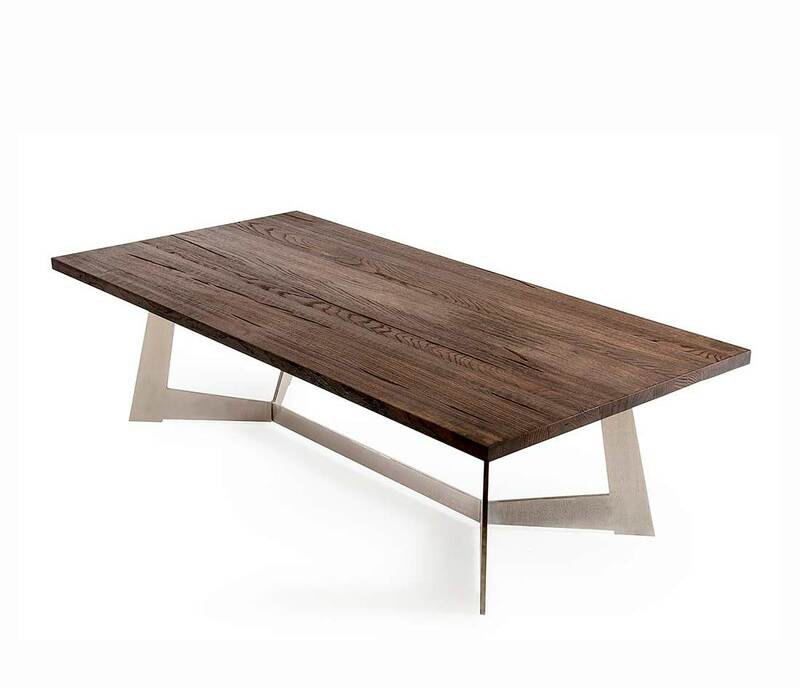 Featuring wood grains on the tabletop, it stands on sturdy V-shaped ends stainless steel legs. 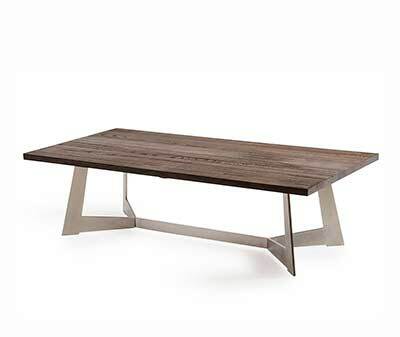 Coffee table W55" x D28" x H16"
Modern style, Stainleess Steel Trestle Legs. Clear glass, Polished stainless steel finish.